Australians sold junk insurance are demanding their money back as ASIC releases a damning report into the atrocious value and shocking sales practices at car yards. – Over 3 years, the claims payout ratio was only 9 cents for every dollar of premium paid (compared to 85c for car insurance). – Over the same period, insurers paid 4.2 times more in commissions to car dealers ($602.2m), than in claims for these products (only $144m in claims). – Add-on insurance is often unnecessary, overlapping with other protection, or is sold to Australians who are ineligible to claim. The Consumer Action Law Centre says anyone who has recently bought a car, gotten a credit card or a loan should check their paperwork immediately for junk. “It was my first credit inquiry and I didn’t really know what to expect” says Caitlin a 26 year old from Brisbane who made a complaint through DemandARefund.com. Caitlin is now pursuing the matter through the Financial Ombudsman Service. Consumer Action’s DemandARefund.com helps victims of junk Consumer Credit Insurance, Gap Insurance and Used Car Extended Warranties to generate a letter to demand their money back. 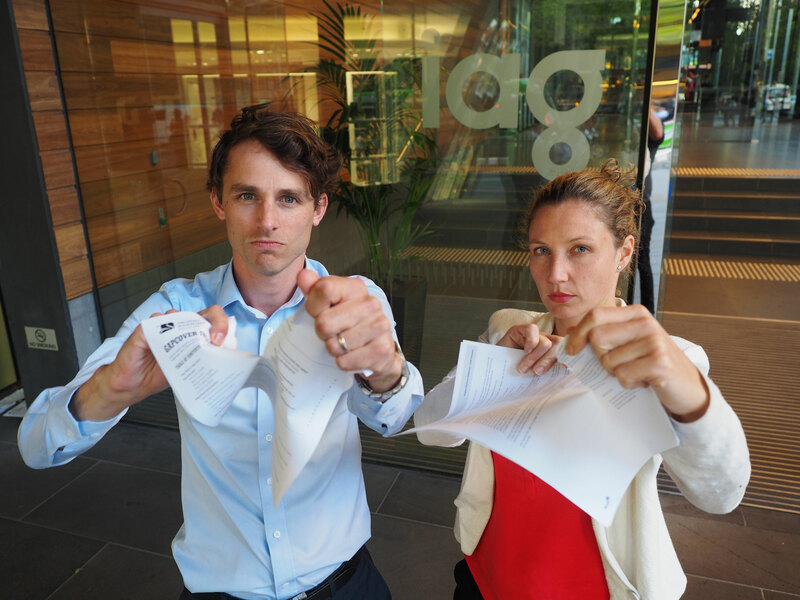 Australians have demanded back over $300,000, with more fighting back every day. “Flogging junk insurance has been going on too long” says Gerard Brody, CEO of Consumer Action Law Centre. Australians can use DemandARefund.com to help identify whether they have junk insurance and can use the site to generate a letter of demand to ask for a refund. Consumer Action has victims of junk insurance and extended warranties available for print media comment and has released a video explaining the issues with these products. Attached photo: David Leermakers and Philippa Heir.